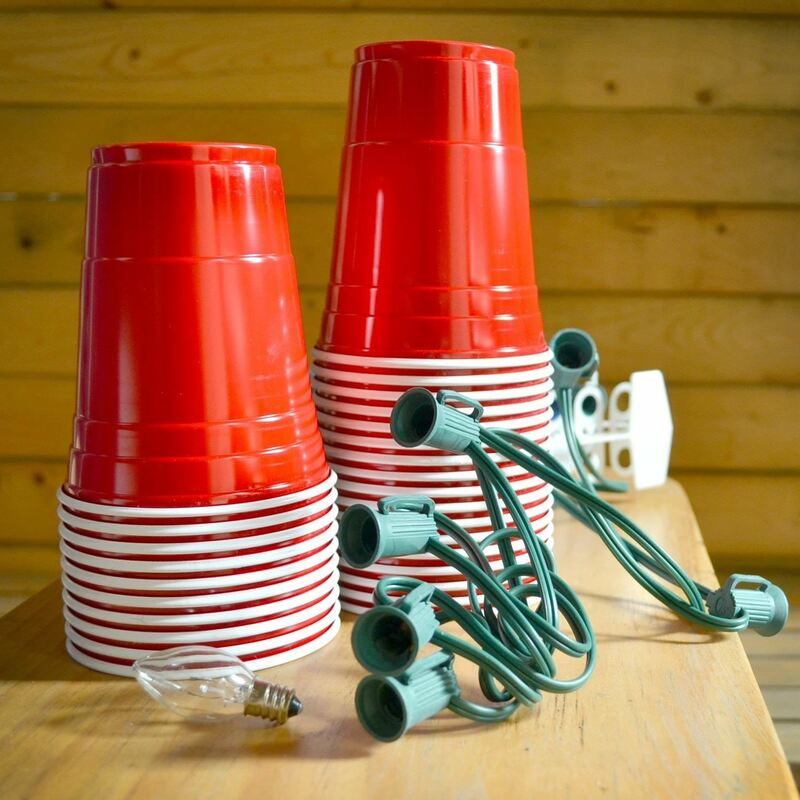 Plastic red cups are synonymous with college parties, beer pong, and generally a good time. The reason these cups are so rampant in the party scene is because they're cheap, easily disposable, and, well... who wants to drink out of a blue cup?!? 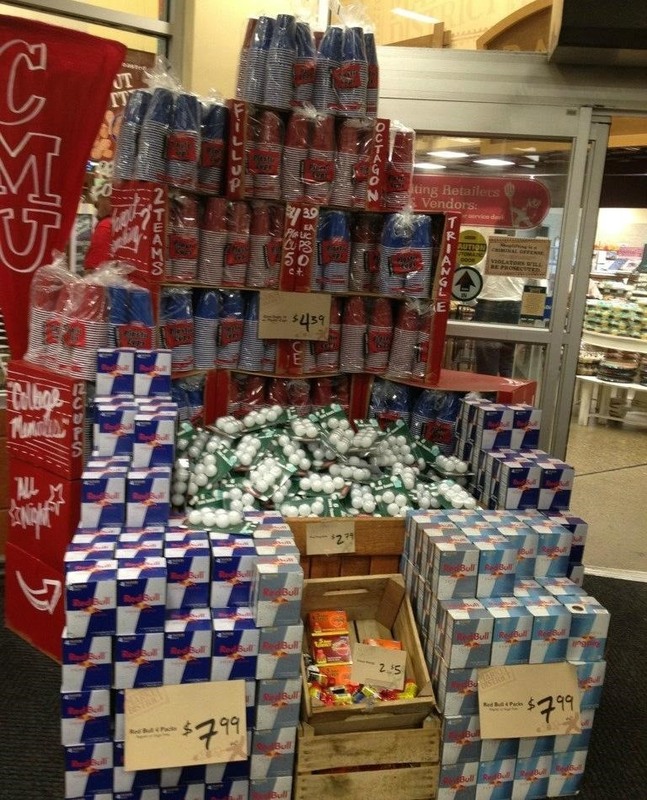 Oh, to be young and in debt. One thing that was always a certainty after a party—other than the tremendous mess—was the overabundance of red plastic cups. For the rest of the week after every party, my college roommates and I would quit washing dishes (score!) and drink everything from the plastic ones. But you know what would be even better? Preparing for the next bash. 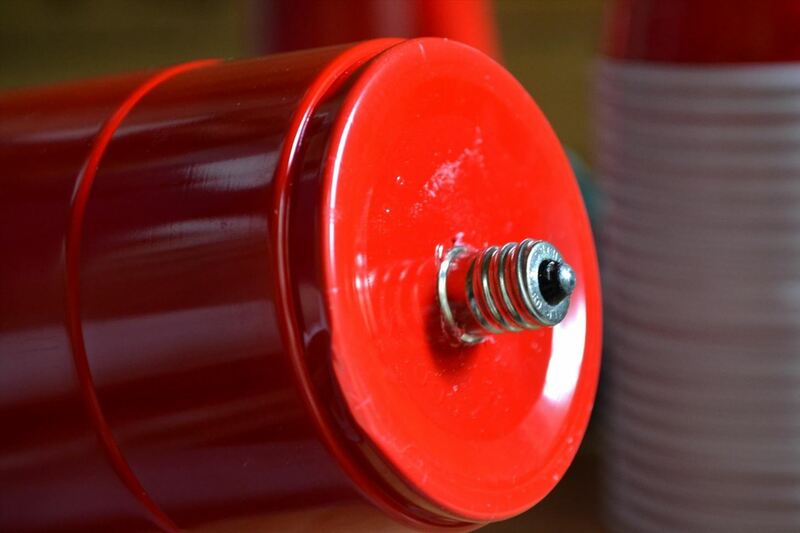 While red plastic cups may not shout out decorative and ornate—they are iconic, thus making them perfect candidates for designing your next party! 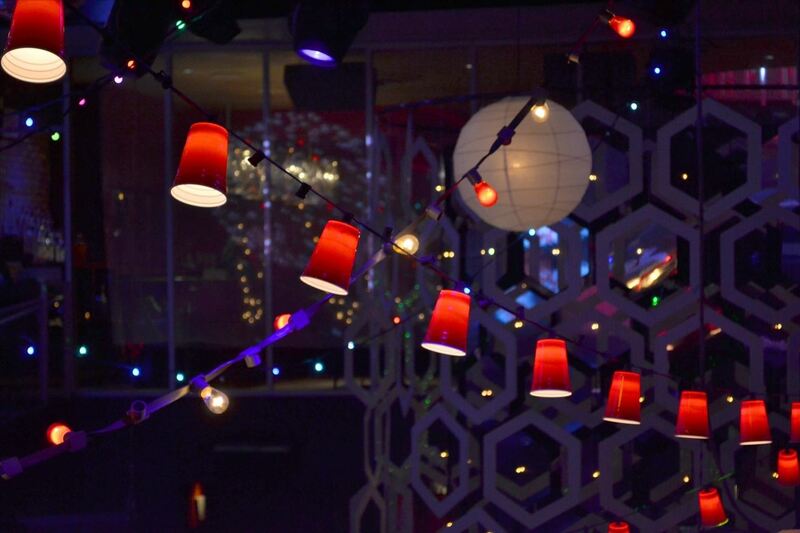 Therefore, I present to you...stringed red plastic cup lights! 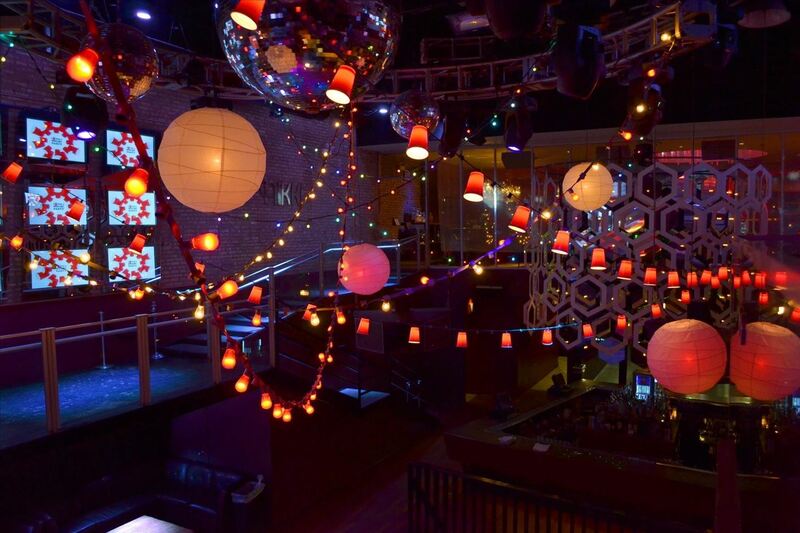 Instructables user David Andora came up with this idea when he was trying to create a house-party vibe for a local nightclub, and I'd say he did a pretty good job. For the lights, you're going to want white or clear bulbs with screw-type C7 or C9 bases, not those small plug-in types. And you should get the kind where no replacement bulbs are needed, so you can leave some out for spacing. 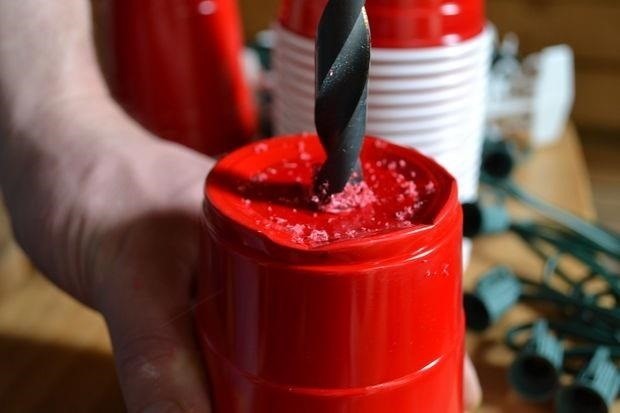 Start out by drilling holes in the bottom of his red plastic cups, about the size of the light bulb bases on the Christmas lights. 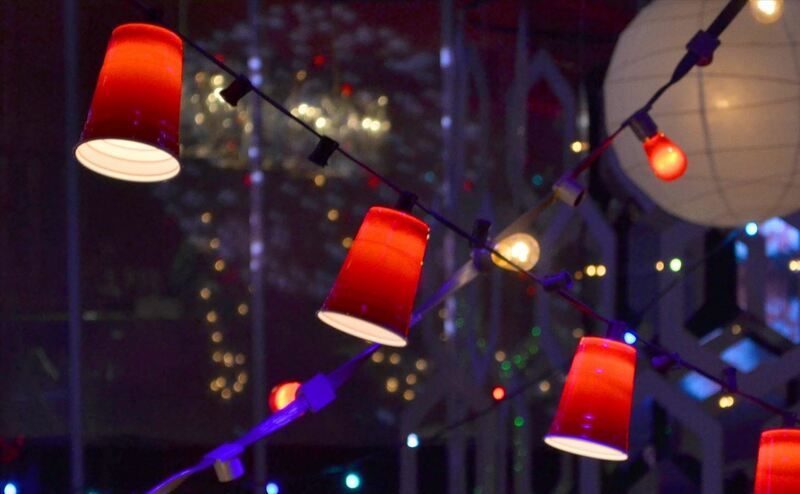 Then insert each bulb base through the inside of the cup, in order to make it easy to screw on. The light bulbs will not get hot enough to melt the cup, so there's no fire danger. As for the spacing of the cups on the cord, that's up to you. David suggests that you have anywhere from 6" to 12" of spacing between the sockets, with his personal preference being 12''. 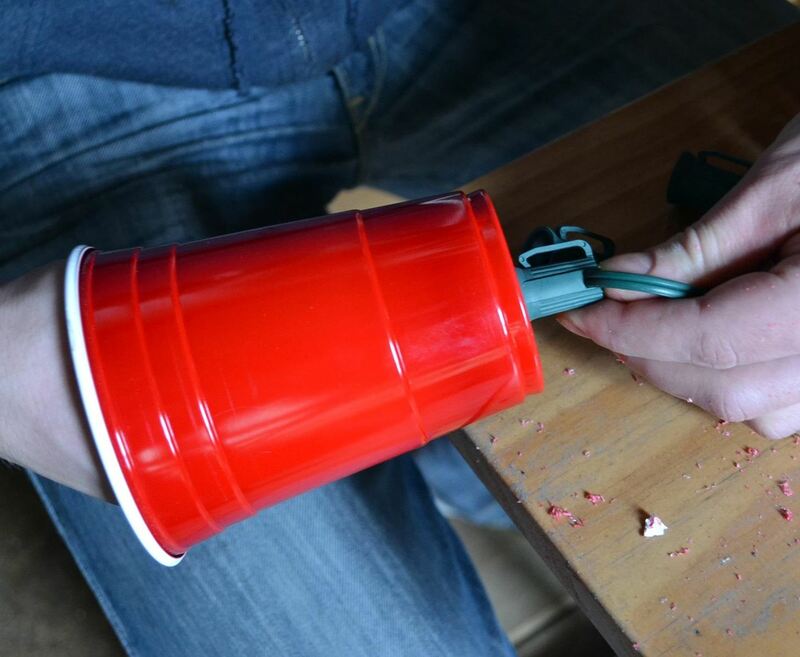 If you've still got some plastic cups lying around after this, you can always use them to make a huge lampshade, beef up your party's smartphone sound system, or for a number of other fun projects. How To: Make a sweet treat cup door with Stampin' Up! News: Mark and Joe Build a Spaceship - Ultra Recycling!